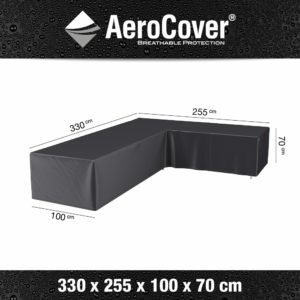 AeroCover breathable corner loungeset covers L-shape have a high colour fastness, are water-resistant, reduce condensation and prevent mold and mildew from building up. An AeroCover breathable corner lounge set cover extends the lifespan of your garden furniture. AeroCover corner loungeset covers L-shape are made from lightweight ripstop polyester backed with an AeroCover membrane. 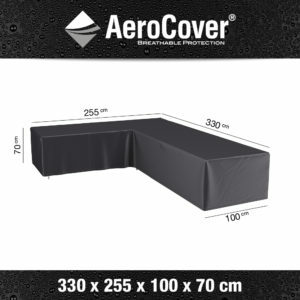 Read more about the unique characteristics of AeroCover corner loungeset L-shape covers.